As I near the completion of the Sunset Grocery Building, I have started to kick around some other ideas for my next painting. Some places I’ve already visited have given me lots of material like the Smelter Cemetery and the SPC Plant. Those are pretty grand in scale and may result in some sort of a series. For my next painting I wanted to try something a little smaller in scale so I headed back downtown and scouted around. Instead of wandering all over the place like I normally, do I focused on the Plaza Hotel and surrounding area. There was some construction going inside, no doubt in preparation for making it usable again for some future tenants. Personally, I would rather see the city use the Blue Flame building if they raze the current city hall to build a ballpark. 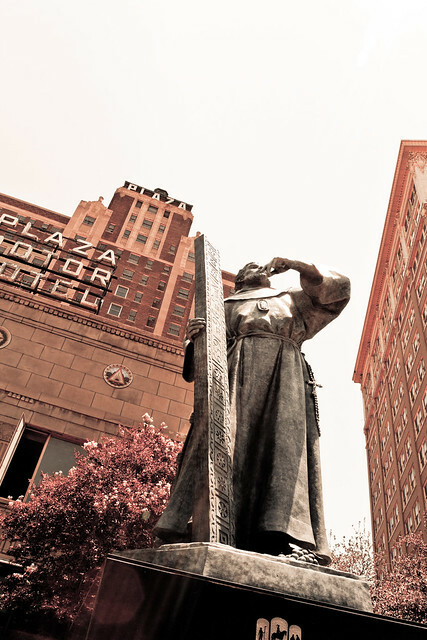 The Plaza would be better suited as a hotel given its proximity to the the Arts district. 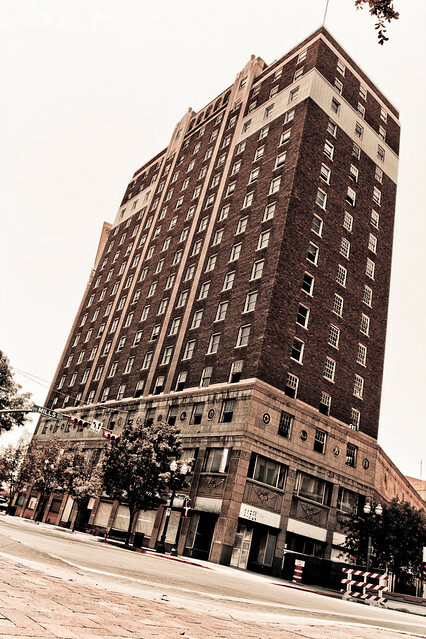 Maybe it would force the Camino Real, that’s next door, to spruce up its aging property. This part of downtown is my favorite. The majority of the buildings around here are older and part of the national historic registry. 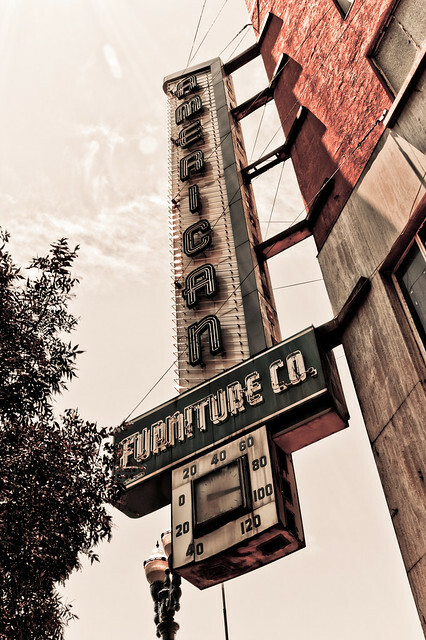 There are some art deco-ish relics as well, namely the Kress Building and the American Furniture sign.